Classy looks. Decent boot. Smooth autoboxes. Excellent crash test rating. A 3 Series is a far better drive. Indicator stalk is awkward to use. Can be heavy on front tyres. Rusts. 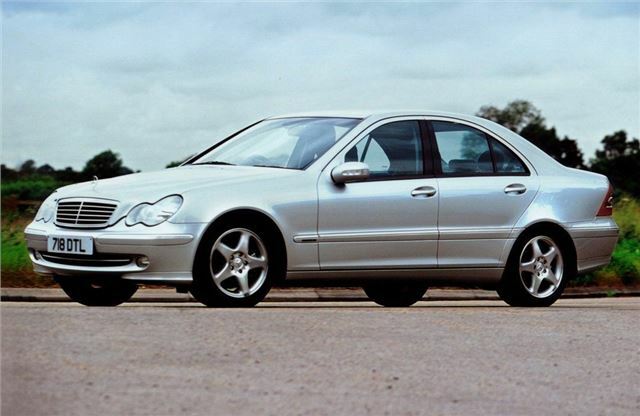 Report of front suspension arm of 2004 W203 Mercedes C180 Kompressor Auto Classic SE 4dr Saloon Automatic rusting through and suspension collapsing. Luxury driving for less than a grand. Great drive. My favourite owned car so far.